Incase you didn't know, I am a self-proclaimed mascara junkie, LOL. I love mascaras and eyeliners, I basically can't leave home without wearing them both, especially mascara. I have tried many mascaras before and Maybelline is one of the brand that have lots of great mascara selections to choose from. Of all the Maybelline mascara I've tried before, my most favorite is the Volum Express Turbo Boost Mascara (the one with the black packaging). Maybelline always have the cutest and most unique gimmick packaging whenever they sent stuffs. This one is another example. 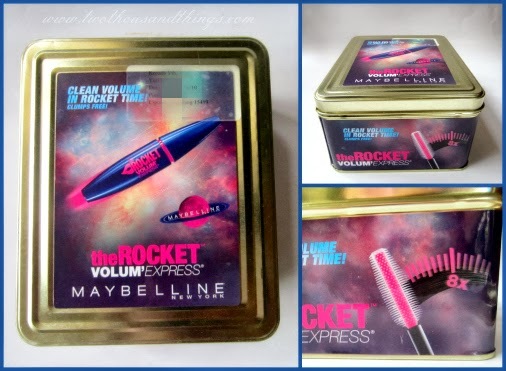 The mascara came with a medium-small tin decorated with the Rocket mascara graphic all over. Thank you Maybelline, I can definitely use the box for extra storage later on. 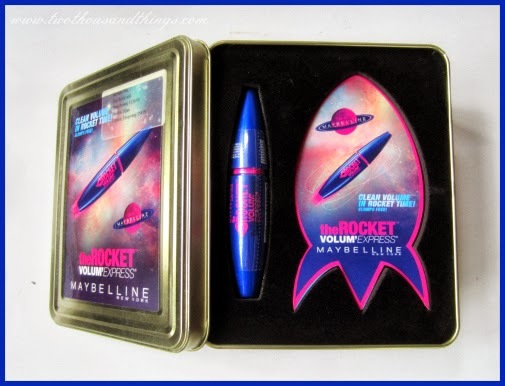 So anyway, inside the tin were the new Maybelline The Rocket Volum Express Mascara and a rocket-shaped hand held mirror which is so unique and cute. This mascara is part of Maybelline Volum Express series which delivers voluminous lashes in no time. I love this Volum Express series because in terms of lashes I always go for "volume" for a more intensified bold thick eyelash look. 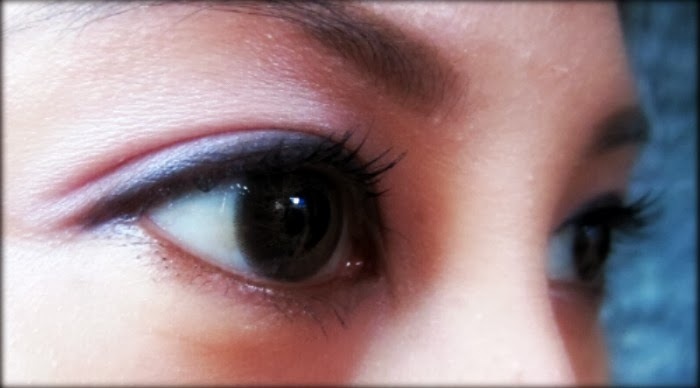 My lashes are medium-long but the strands are thin, so although I already have the "length" but I'm lacking the "volume" because they're so thin. Although I use both the lengthening and the volumizing mascaras daily but on certain occasions I always prefer a "voluminous" mascara than a "lengthening" one. 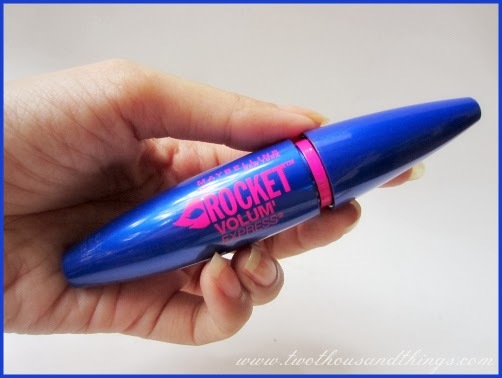 So this Rocket Mascara is one of those voluminous mascara. This was inspired by women who loves to put on falsies to achieve that full eyelashes look. 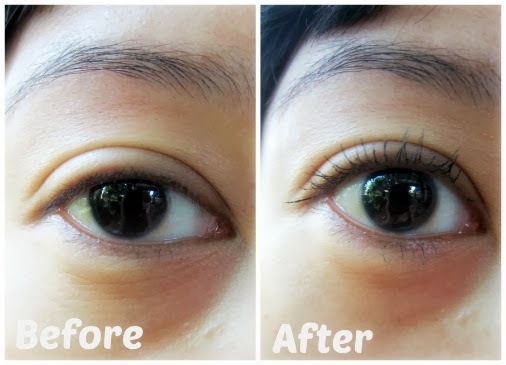 This mascara is said to be able to achieve that falsies look by adding volume 8 times more bold and thicker, instantly. 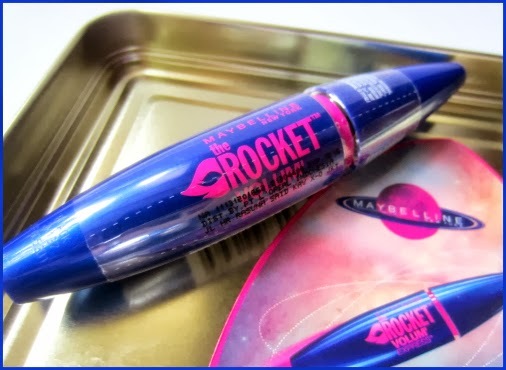 The Rocket Mascara itself has the color theme of blue and pink on the packaging. I can also see from the graphic on the tin that the mascara wand has an original pink color on the brush (a pink wand! ), but because it was already dipped on to the mascara tube so the wand is already turned to black in color. I really like the color combination on this mascara. From the packaging I can also see that the wand / mascara brush has a very thick and padded bristles, it looks like there are many short bristles in there that suppose to help us in achieving a clump-free lashes with maximized volume, just like what the advertising says. The brush is called "Supersonic Jumbo Brush", a new innovation from Maybelline with a thin micro bristles that separate lashes and delivers clean volume, up to 8 times more volume than ordinary mascara, and free from clumping too. Wow! Quite amazing, right? That is just awesome. My lashes are curled even without using eyelash curler. 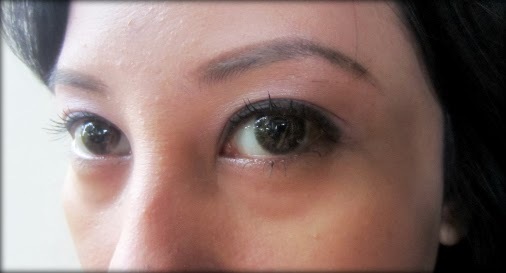 You can definitely see the volume and long-falsies effect from this mascara. 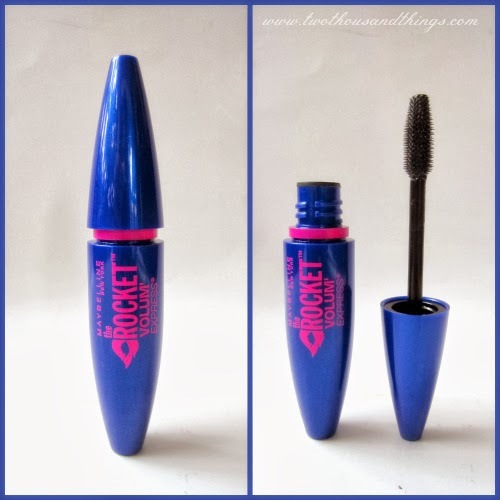 The formula is light and smooth to apply, and doesn't weigh down the lashes so it keeps the curl to stay up. The brush / bristles shape makes it easy to apply the formula evenly, from the outer lashes to the inner lashes, and also from roots to tip. It is also very buildable without looking clumpy. 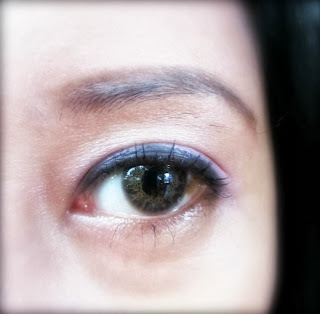 You can achieve great results just from a couple of layers of this mascara, but I like to build layers after layers of this mascara to create the bold look I was looking for. Because of the no-clumping formula, I can put on a load of this mascara on my lashes without being afraid that it would clump on my lashes. Score! I would definitely keep this in my favorite beauty item list! Have you tried this mascara yet? Which Maybelline mascara is your favorite?